With the support of Sportivate funding from Active Dorset, Poole Taekwon-Do Academy are offering a 6 week Touch Gloves course to ladies aged 19-25 years. 31st Oct 2014 14 British Champions and 32 medals for Gassor’s Tournament Team at the British Championships!!! 34 students represented Gassor’s Tournament Team at the UK ITF British Championships in Crawley, West Sussex on Saturday 25th October and they came away with an amazing 14 British Champions! The team won a brilliant 32 medals in total, which were 14 Gold medals, 10 Silver medals and 8 Bronze medals! On behalf of the UKITF we like to send our congratulations to the students that attended the Region 1 Degree grading. Congratulations Stoke Gifford students Kieran McDermott & Phoebe Grandfield who have been selected as finalists for the Bristol Post Sports Awards. On the 19th September students representing Region 1 embarked on their journey to compete in the IITF Kup Cup. After such an overwhelming positive response from the previous training day we were all eager to see what Grand Master Nicholls had in store for us. 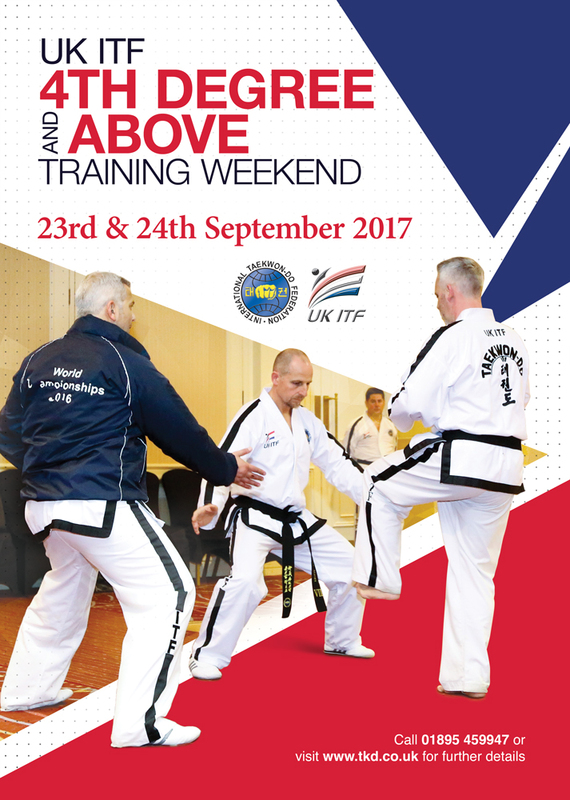 5th Sep 2014 Poole Taekwon-Do - "Join In Sport"
Once again Stoke Gifford TKD produce some great results in Rome at the ITF World Championships. 30th Jul 2014 Team UK Success! I would like to both congratulate & thank all that were involved in Team UK's success at the recent ITF World Championships. Congratulations & Good Luck to Team UK members that have been selected to compete at ITF World Championships in Rome. Three Region 7 students will represent Team UK at the ITF World Championships in Rome.